Apps have become an important and vital need in today’s society. There really is an app for everything and there is no shortage of helpful apps you can use to enrich any shift. Along with medical information-based apps, there are several fun apps that can keep you physically healthy by utilizing trackers and reminders. The days of carrying around clunky manuals and guides for (not-so) quick medical knowledge are over. With a few swipes and a little typing, you can get a quick refresher on any topic in a matter of seconds using Medscape. Medscape is the cream of the crop when it comes to medical apps. While Medscape is very popular among nursing students, it is often used by professionals for quick knowledge at their fingertips. The app contains several tools including a drug interaction checker, medical calculators, a pill ID tool, drug reference tools and more. In addition, there is a ton of evidence-based disease and condition references, and formulary information. Medscape prides themselves on their rigorous editorial review process which insures all information is current and evidence-based. Their team of 7,700 physicians and pharmacists review and author their content so nurses can be sure that what they’re researching is the real deal. FitBit is a one-stop-shop when it comes to wellness and fitness. This popular app allows you to track your sleep, steps, heart rate and more. Nurses are on their feet. All. The. Time. 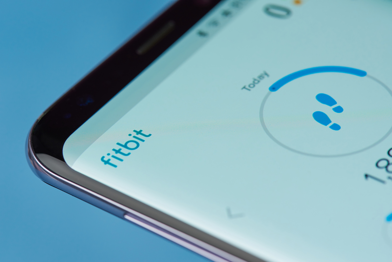 FitBit shows you exactly how many miles you walk and floors you climb with real-time tracking. There is something oddly satisfying to check your FitBit and see that you have walked 12,000 steps during your shift. Plus, who doesn’t love it when their wrist vibrates after hitting their daily step count goal? Maybe falling asleep with Netflix on in background leads to less time spent in a deep sleep. Or you can find that you sleep better starting at 8 a.m. after completing a night shift as opposed to a more regular bedtime of 10 p.m. FitBit provides all kinds of data that is sure to make you more aware of your physical well-being.The sleep tracker provides detailed data on how many hours and minutes a person spends asleep and what portion of that time is restless sleep. The nursing world is fast-paced and sometimes you need to quickly research something in order make decisions and perform tasks. Taber’s has turned their renowned medical dictionary into an easy-to-use app to add more efficiency to your job. This complete health science dictionary will help students and professionals alike brush up on terms and quickly access information. Features include entries over 65,00 terms, hundreds of videos, pronunciations and full-color illustrations. With this app, it’s easier than ever to search reliable material in a matter of seconds. As a nurse, you never know what type of people you may come into contact with. This can often include patients that do not speak English. This can put a serious barrier on patient care. If a translator is not readily available, especially in emergency situations, Google Translate is your go-to tool to communicate with patients and/or their families. Google Translate lets a person type or speak a message into the phone and it is translated into the language of the other person. For example, you can speak “are you allergic to any medications?” into the phone and the app will immediately repeat that in Spanish for the patient. The patient can then answer and their response will be displayed/repeated in English for you. You can even take a picture of text on a page and have it translated. With a knowledge base of 103 languages, you will be hard-pressed to find a language not covered. Google Translate is a great app to have downloaded because you never know when you may need it. During a twelve-hour hectic and busy shift, you’re engulfed in patient care. It can be hard to find the time to take care of yourself between all the rounds and charting. Specifically, it can be difficult to remember to drink enough water. The Mayo Clinic recommends drinking eight 8-ounce glasses of water a day. My Water Balance is a helpful app all nurses can benefit from. The application features a water requirement calculator, reminders, statistics, graphs and motivational awards. With My Water Balance, you can log each glass of water you drink a day and get reminded when you need more to consume your goal. It may seem silly to have an app to remind you to drink water, but My Water Balance is surprisingly motivational and is sure to help you increase you water intake. A healthy nurse is a happy nurse. While this app may have a high price tag, nurses report that Nurses Pocket Guide is helpful, convenient and well worth the investment. The Nurse’s Pocket Guide is an app version of a longstanding print manual. 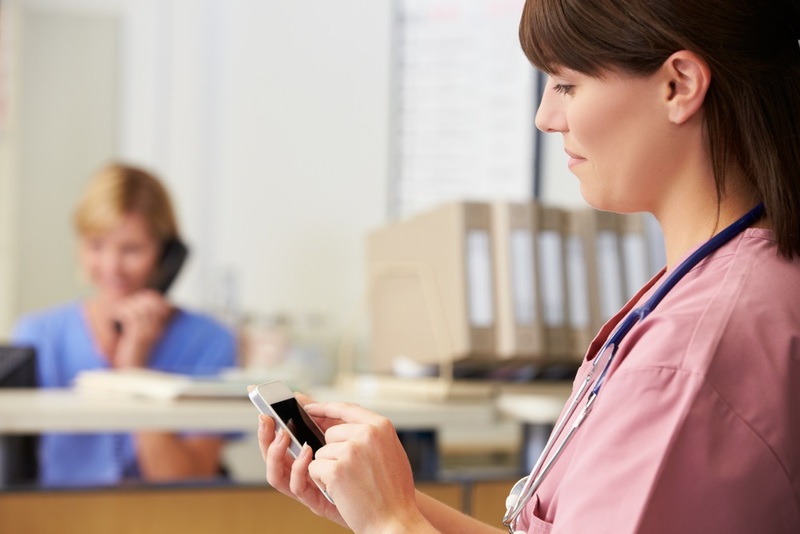 Created just for nurses, the app helps assess patients and determine proper nursing diagnoses and treatment protocols. Arranged by priority, each diagnosis includes a definition, desired outcomes, risk factors, actions/interventions, documentation focus and more. Nurse’s Pocket Guide also includes information on basic nursing processes and their applications, as well as sample care plans and tips for creating them. The app is updated with NANDA-I 2015-2017 diagnoses and includes icons for cultural, collaborative, community/home care, diagnostic studies, pediatric/geriatric/lifespan and medications. 400 medical conditions are outlined in this must-have app. The above apps are great to have in your toolset and will make you work more efficiently and effectively. We hope they will add balance to both your work and personal life. In addition to our five favorites, there are hundreds of other great apps out there so be sure to check them out for yourself!